Maximize your space with this American-made classic. 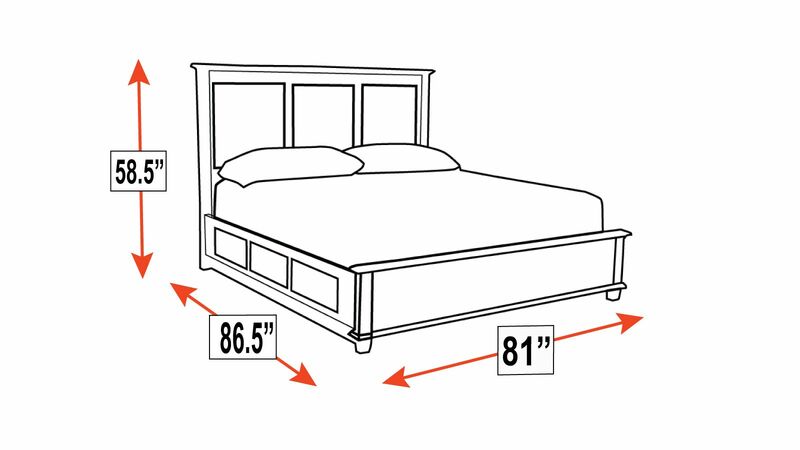 Featuring three storage drawers to keep extra linens or clutter neatly tucked away, this king-sized bed is perfect for those with limited room. Solid wood construction and a catalyzed finish work together to ensure lasting quality, allowing you to enjoy your favorite focal point for years to come. American-made using solid wood, this storage bed is designed with quality in mind. Framed panels on both the headboard and footboard add rustic elegance. Three storage drawers let you keep bedsheets and other nighttime essential close at hand. Fully finished with a multi-step catalyzed process, the inner golden beauty of the wood glows, while the satiny, smooth surface invites your touch. The dark brown Asbury finish can fit in with any bedroom design scheme.